HARRISBURG, Pa. (Feb. 5, 2019) — Gov. Tom Wolf’s proposed 2019-20 General Fund budget would continue to fund Ben Franklin Technology Partners at the reduced level of $14.5 million. The appropriation is about half of the amount that the high-tech economic development engine has received over most of its history. The reduced levels have put Pennsylvania at a competitive disadvantage with other states that are investing heavily in innovation and high-tech economic development. Ben Franklin is already unable to invest in some deserving companies and has seriously short-funded others because of that sharp decline in state funding over the last decade. Since 2007-08, funding for Ben Franklin, one of the most widely known and emulated state technology-based economic development programs in the nation, has dropped approximately 50 percent, from $28 million to $14.5 million per year. Among the 25 major line items within the Department of Community and Economic Development budget, 12 were reduced. The governor’s proposal for Ben Franklin matches its 2018-19 allocation. As a recognized leader in economic development, DCED remains a strong advocate of Ben Franklin and has been incredibly supportive of its mission to grow Pennsylvania. Ben Franklin was created more than 35 years ago with broad bipartisan support. Since its inception, Ben Franklin has invested in more than 4,500 technology-based companies and boosted the state economy by more than $25 billion, helping to generate 148,000 jobs through investments in client firms and spinoffs companies in Pennsylvania. But competition is fierce. Other states have launched and invested in their own high-tech economic development programs. A recent analysis of state funding support for technology-led economic development programs in 12 comparable and competitive states found that Pennsylvania’s per capita spending of $1.37 was second to lowest. The average state spending per capita in that study was nearly triple Pennsylvania’s level at $3.79, with some states spending as much as $16 to 18 per person. Ohio, for example, is investing more than $2.00 per capita, while Oklahoma is at $3.41 and Utah is at $7.36 per person. Maryland’s governor recently announced a proposal that would increase TEDCO (a program that was modeled heavily after Ben Franklin) funding from $27 million to $45 million, or $7.45 per Maryland resident. Investing in Ben Franklin Technology Partners makes sense. Every dollar invested by the state into Ben Franklin generates $3.90 in additional state taxes, according to an in-depth analysis by two independent nonpartisan research organizations, The Pennsylvania Economy League and KLIOS Consulting. The analysis also found that Ben Franklin helped to create 11,407 high-paying jobs, generated $386 million in tax receipts for the state, and boosted the commonwealth’s overall economy by $4.1 billion between 2012 and 2016. Jobs created by Ben Franklin’s client industries pay an average of $79,364 annually, which is 52 percent more than the average non-farm wage in Pennsylvania. 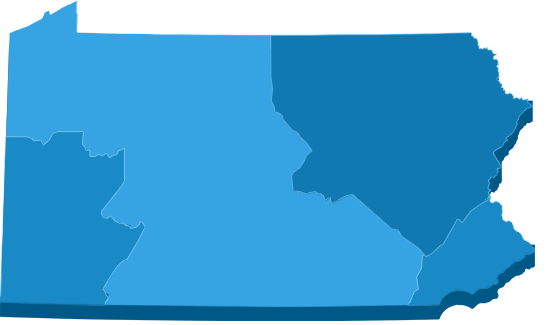 Ben Franklin Technology Partners serves all 67 counties through four regionally based centers. Each center is united by a single mission — to invest in early-stage innovation-led firms and established manufacturers to help them apply technology to be more internationally competitive. The financial, expertise, and network support that Ben Franklin provides help to develop and support a more competitive and attractive Pennsylvania economy that creates and retains highly paid, sustainable jobs. The partners also work with the state’s manufacturers to help them apply product and process innovations that enable them to create and retain good jobs and to be more internationally competitive. For a full copy of the in-depth analysis from The Pennsylvania Economy League and KLIOS Consulting, visit www.benfranklin.org/reports.